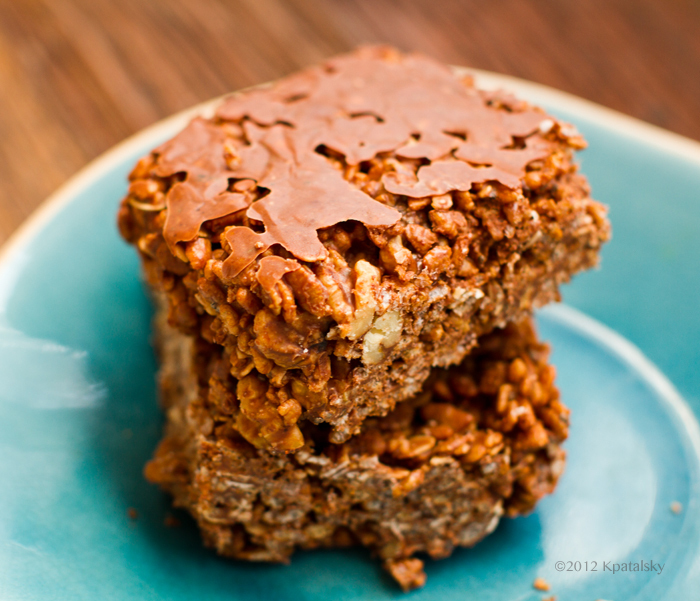 Attune Healthy Holidays Recipe Contest + a Cocoa Bar Recipe! 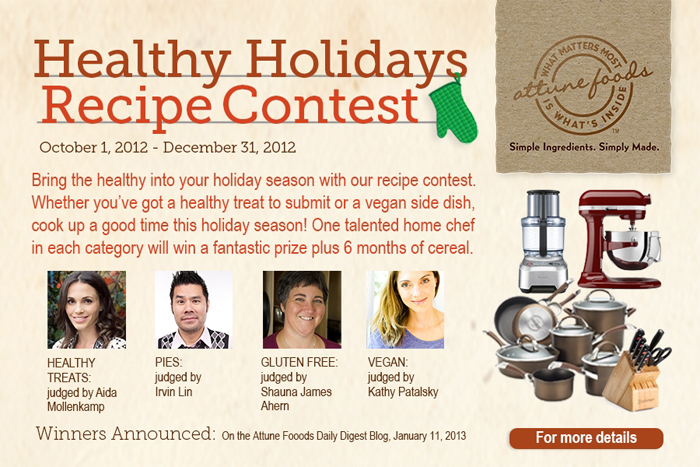 I'm super excited to be participating as a judge in the Attune Foods Healthy Holidays Recipe Contest. I will be judging the "vegan" category of the contest and announcing the winner via video. 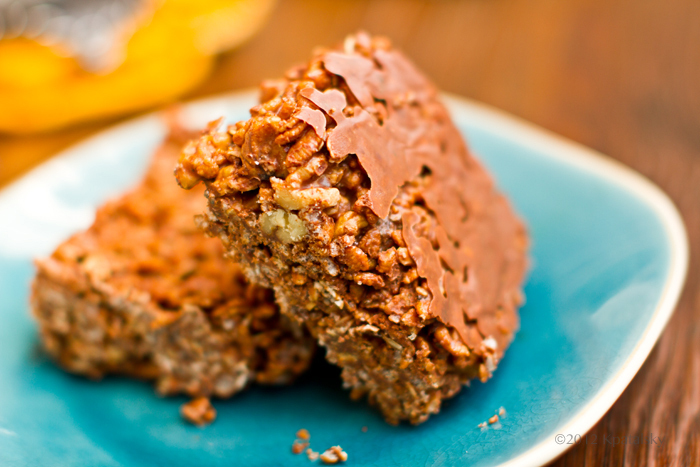 Nutty Double Chocolate Rice Crispy Bars. And in celebration of the contest, I whipped up my own Attune Foods recipe using the Erewhon Cocoa Brown Rice Cereal. 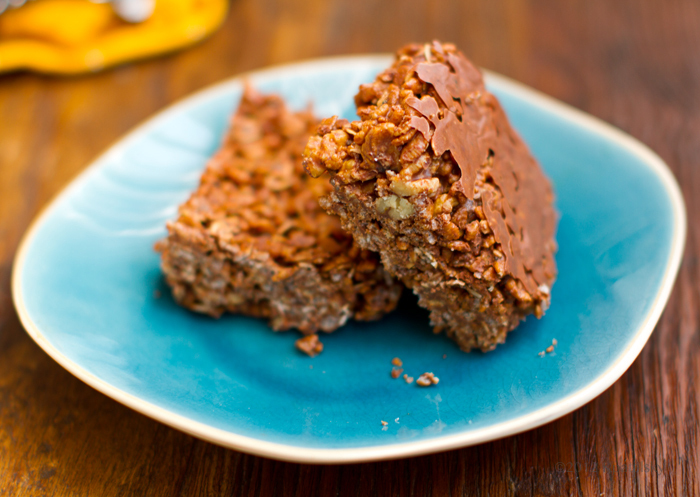 These bars are super chocolate-y and delicious. Get my recipe and all the details about the recipe contest including the prizes, categories and other judges.. Healthy Treats Prize - One person will win the Healthy Treats Prize of a Breville Sous Chef Food Processor and six months of cereal. Pie Prize – One person will win the Pie Prize of a Kitchen-Aid Professional 600 Series Stand Mixer and six months of cereal. Gluten-Free Prize – One person will win the Gluten-Free category prize of a Circulon Symmetry Chocolate 11-Piece Pot and Pan set and six months of cereal. TO ENTER: Folks can enter on the Attune Foods website at www.attunefoods.com/recipe-contest. IMPORTANT: You must use the required ingredients in your recipe entry. 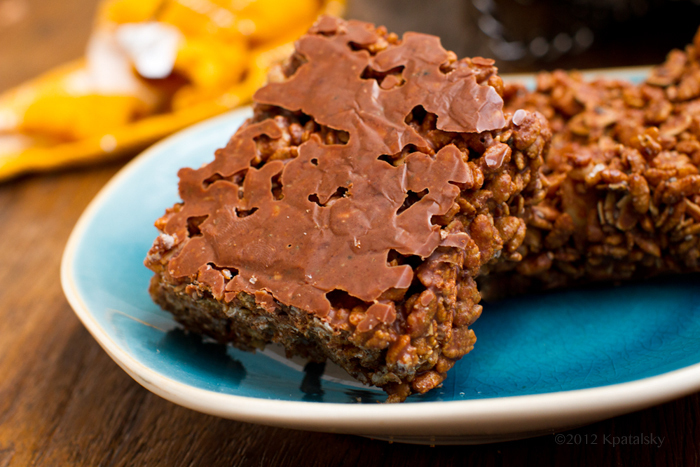 See rules for details - example the vegan contest "Must incorporate one of the following Attune Foods products into the recipe: Erewhon Buckwheat & Hemp cereal or Erewhon Crispy Brown Rice- Gluten Free"
1. In a large pot over medium heat, melt the almond butter, coconut oil and chocolate chips. Add in the salt and vanilla. Turn off heat once almost all the chips have softened and stir until smooth. Use low heat to melt if needed. 2. Add in the oats, chia seeds and walnuts, and stir well until the oats absorb the liquid cocoa mixture. 3. Fold in the crispy rice cereal - gently. 4. 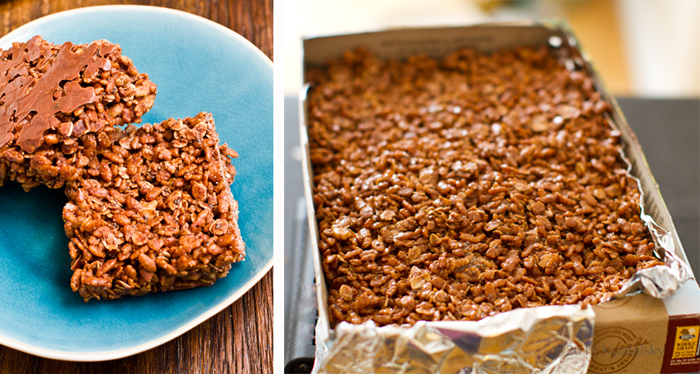 Pour the mixture into the lined cereal box and place in the freezer. The bars should be chilled and ready to slice in 20-30 minutes. 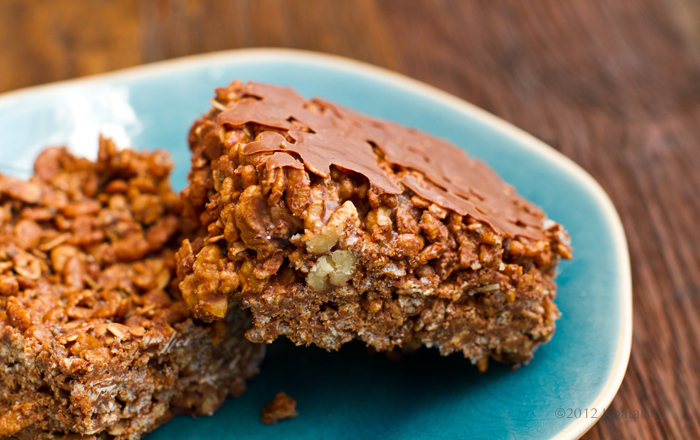 Store the leftover bars in the freezer and allow to that a minute or two before serving. You could also store in the fridge, but I like my bars extra chilled - so the freezer works for me.